As a multi-generational farm family, we pride ourselves on our dedication to our customers, our employees, our community and to being responsible stewards of the land. Our mission is to provide excellent customer service and high quality products, whether that is pedigreed seed for farmers or birdseed for your backyard. Our farm is located on the wide, open plains of southern Alberta not far from the base of the Rocky Mountains. We are fortunate to be able to take advantage of the sunny southern Alberta climate and well developed local irrigation system to produce excellent seed for both our farm customers and our bird seed customers. Nick Barany immigrated to Canada from Hungary in 1935 with only $11 and his passport to his name. 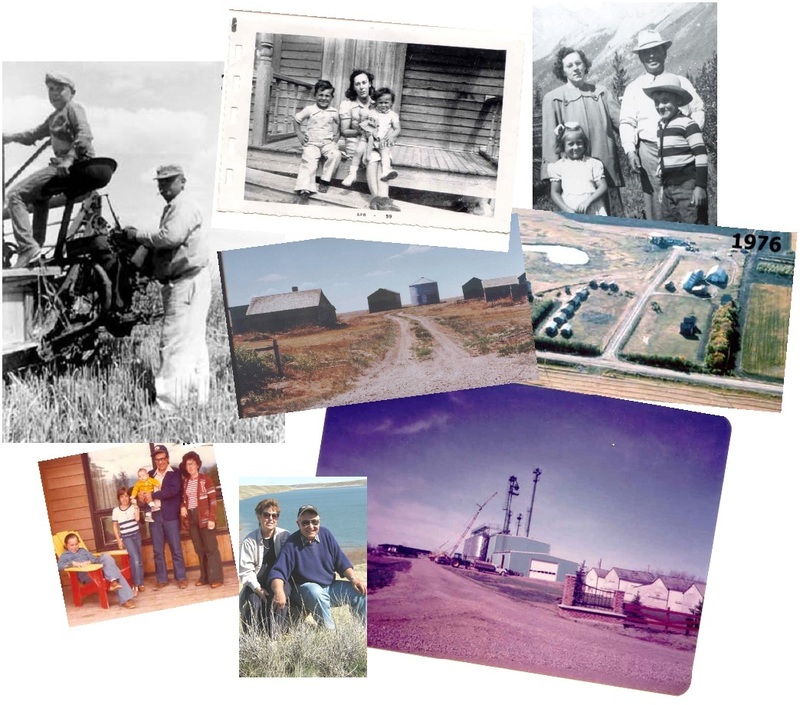 After coming to Canada, Nick eventually settled in the Taber area and bought a section of land south east of Taber. Nick married Elizabeth Skiba and together they raised two children, Lawrence and Eileen. In 1965, Lawrence (with an Ag degree from U of A) joined the family farm operation with his wife Wilma. 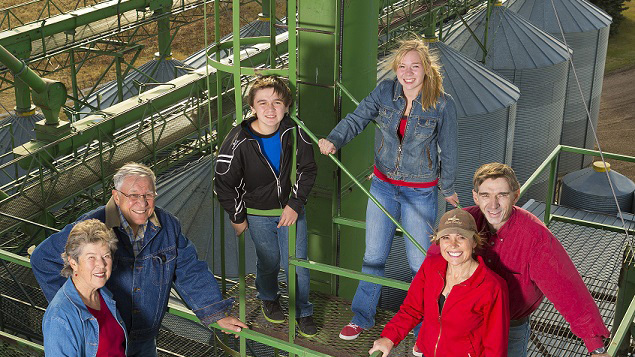 The couple continued to purchase land and grow the business, moving into pedigreed seed production in 1965. In fact, Lawrence has now been a registered member of the Canadian Seed Growers Association for over 50 years. Lawrence and Wilma built a seed cleaning plant on the farm in the early 80's, and incorporated Chin Ridge Farms Ltd and Chin Ridge Seed Processors Ltd. The seed cleaning operation made it possible for Chin Ridge to ensure the pedigreed seed grain was cleaned to high purity standards and also enabled Chin Ridge Seed Processors to begin processing special crops and later to start manufacturing bird seed products. Lawrence and Wilma raised 3 children: Kelly, Tracy and Mitch, all of whom own farmland in the area. Kelly and her husband Don Hubble, now own and operate of Chin Ridge Seeds Ltd (the successor company to Chin Ridge Seed Processors) and continue to grow the pedigreed seed and birdseed lines of the business. Today our farm operation cultivates approximately 10,000 acres of crop land producing certified planting seed and some of the key ingredients for the bird seed operation. The majority of the pedigreed seed sold by Chin Ridge Seeds today has been produced on family owned crop land, so we have first hand experience with the varieties of seed sold including understanding yield differences, ease of combining, disease resistance and lodging problems. Our bird seed and pet food business continues to grow and we now distribute these products across Canada under the registered trademark names of Mother Nature's, Bird's Choice, and Wildwest Specialty Seeds. Don Hubble and Kelly Barany operate Chin Ridge Seeds Ltd, while Lawrence and Wilma Barany are the business founders and are still heavily involved in the farm side of the business. Both operations are supported by excellent long term employees who help us do what we do on a day to day basis. Chin Ridge is a family owned business that prides itself on excellent customer service and high quality products, whether that is pedigreed seed for farmers or birdseed for your backyard.